I can't figure out how to upload this damn image. Apparently save image from scmdraft doesn't work, so, all in all, no image. Do all this in some program 4 pictures like Photoshop or PhotoScape. Ty! I appreciate the help, but now that I see it, it is not the greatest map lol. The map was intended to favor a less macro heavy game. But I am trying to stay away from symmetry, and the middle looks to be a bit too open. Any tips for improvement could help. 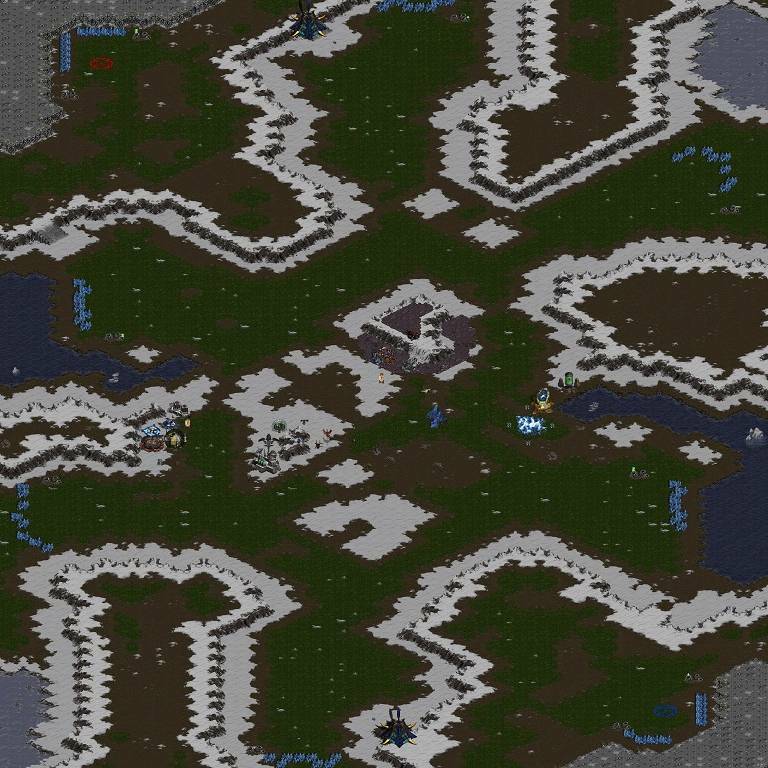 do you had a idea when you were making this map or just randomly putting stuff here and there some cliffs some units some sprites for no obvious reason XD i kinda like the mains tho.. if they were little bit more polished ; and had an expansion like Acro o.O and a ramp to that outpost thing in the back or remove the outpost thing..
Just unplayable to be honest, the bottom 6 o'clock expansions minerals won't be accessable by workers in-game. Sorry.